What Makes Real Property Management Brevard Shine? 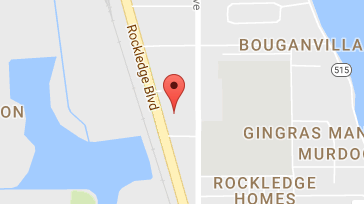 As a rental property owner in Palm Bay, hiring the right property management company can take you from having a life of hassle, struggle, and disappointment, to a life of real estate investing success. Property management is a 24/7 job, and the time and effort that is needed multiply with every rental home you own. The more rental homes you own, the more time and energy it takes to manage each one properly. The answer to the workload problem is to hire a property manager. They would work to ensure your rental homes stay full and profitable. However, the wrong property manager will make costly mistakes and make matters worse. Other property management companies fail to set the best monthly rate. They refuse to spend the time and resources needed to properly evaluate the rental market. Instead, they just guess or ask you to do it yourself. The wrong monthly rate is a big problem whether it’s set too high or too low. If the rent is too high then you might have difficulty renting your home, but if it’s too low then you won’t be getting the profit commensurate to the value of the property; you also run the risk of people thinking something is wrong with the property. When the property managers at Real Property Management Brevard first sign on with an owner, they begin a thorough property evaluation right away. This ensures that the rental home is ready for high-quality renters. The condition of the homes and the current rental market are both evaluated. The results of that evaluation will determine the best competitive prices for your rental homes. Another expensive mistake frequently made by other property management companies is in the process they use to attract and screen potential tenants. Some property managers merely install a sign in the yard that says “for sale”— they think that this is enough to attract tenants— then they run a rudimentary credit history check to screen them. Neither of these is good enough to get quality tenants. Every rental applicant that Real Property Management Brevard considers goes through thorough and full background checks that include credit, criminal, past rental, and income history. We want to fill vacancies with reliable tenants that would help keep your rental property in good condition during their stay and also follow the terms of your lease. Once new renters have signed a lease, other companies will usually set aside any requests for repairs and maintenance, forcing tenants to bear with the problems. These problems start small but they have a tendency to turn into expensive repairs later on. These companies normally have a high turnover for this reason, because renters would leave out of frustration. It’s definitely not a pleasant experience when your property manager ignores or refuses your reasonable requests. 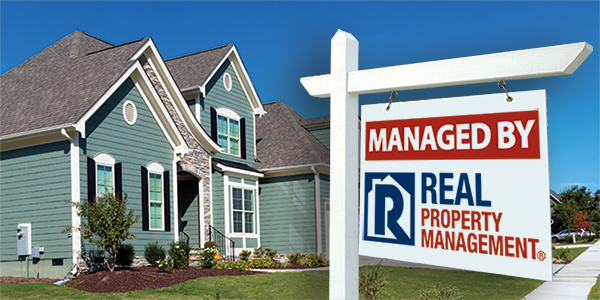 At Real Property Management Brevard, we take a proactive management approach to all repairs and maintenance. We issue a password-protected account to each of our owners. This gives them round-the-clock access to the maintenance and repair information of their properties. Monthly financial statements and clear, up-front fees put you in charge of your investment. When a renter signs a lease with Real Property Management Brevard they adhere to specific, legally binding documents that are intended to streamline the terms and outline the outcome of violating those terms. They know from day one that their property manager will be keeping tabs on their property regularly, helping them be observant, as well. Unlike these other business models, Real Property Management Brevard has a track record of delivering quality, comprehensive service— and for good reason. For over thirty years, we have prioritized providing a unique line of action to property management that puts the best practices and the best industry tools in your hands. As a Palm Bay rental property owner, you need a property manager who will make every effort to protect your investment without disrupting your life. By choosing Real Property Management Brevard, you are choosing real peace of mind. Do you want more information? Please contact us online or call us at 321-610-8022 today.